I am raising a toddler. He switches from ABC to 123 to twinkle twinkle as stream of conscious ramblings lead to an ocean of discovery, and eventually a nap. He plays with sounds, saying “car, caaaar, cart,” just to feel the difference. The aim is to burn through to first thoughts, to the place where energy is unobstructed by social politeness or the internal censor, to the place where you are writing what your mind actually sees and feels, not what it thinks it should see or feel…You are not carrying the burden of ego in your expression, but are riding for moments the waves of human consciousness and using your personal details to express the ride. Goldberg has filled dozens of notebooks with blather and poetry. She lets herself write without destination. Most of those words are set aside and never looked at again, but they aren’t wasted. She encourages her readers to lower the bar. If every time you sat down, you expected something great, writing would always be a great disappointment. Plus that expectation would also keep you from writing. I tried to take her advice, but digging into my gut instincts meant fighting through layers of psyche. It it took time. I was uptight, grammatical, but I pushed through. My mind loosened up. Stress slipped onto the page and, when it ran dry, I turned a leaf and played. Rest, and waiting for it to shatter. A little stiff, anticipating, but trying to taste the moments of silence. Neck snapped for my health. Crackle-pop crick-crack geronimo. Where is the in-between? I used to have it, but it got buried under a pile of toys. Balls, trains, dump trucks, and lemons. If I pull it out, rinse it off, will the wheels still turn? The tidbits of thought got weirder as my my brain let go of its control-freak ways. Bizarre metaphors twisted through incomplete sentences and random words popped in just to see if they were welcome. With each page my writing got worse and worse but somehow became more true and more electric. Free writing is the gateway to magical realism. It’s all the unexpected beauty that I want to create. Maybe the best way to find brilliance is to let yourself be a little stupid. Are you up for the challenge? The process of creativity has always fascinated me. It’s not centered around one approach or one medium; creativity is a conglomerate of experiences that form how you process raw information and how those thoughts catch your imagination. Last fall my analysis of creativity took the form of an outline, and, after months of planning, formatting, and editing with my team, the book is nearly finished. Since the content is multi-disciplinary at heart, Allison Oh paired beautiful photography with each chapter. Throughout FireStarters you’ll dig to the core of creativity, free from confining rules or expectations, and explore your unique process. You’ll delve into your internal understanding and explore the ever inspiring world beyond. Learn more about the FireStarters Ebook here, and preorder for a 15% discount. I was born in Texas and moved to Florida to major in Computer Animation at Ringling College of Art and Design where I’m a Junior. I’m a chai tea enthusiast, certified workaholic (but it’s more like fun than work) and my passion is visual development artwork for animation. I’m currently working on pre-production for my senior film. The process includes doing all of the concept design, visual development artwork as well as storyboards. At the same time, I’m working on a lip-sync project of myself as an animated character. Read more to learn how to bravely follow your inspirations and build an online presence! The people I work with are seriously really cool—if you’re working on a story that involves mythology, listen and be inspired by the weird imaginations of the Norse! More mythology is coming soon 🙂 Visit StoryForge to see articles (A new article on Book Clubs: Picking Your Own Adventure) and videos like this! 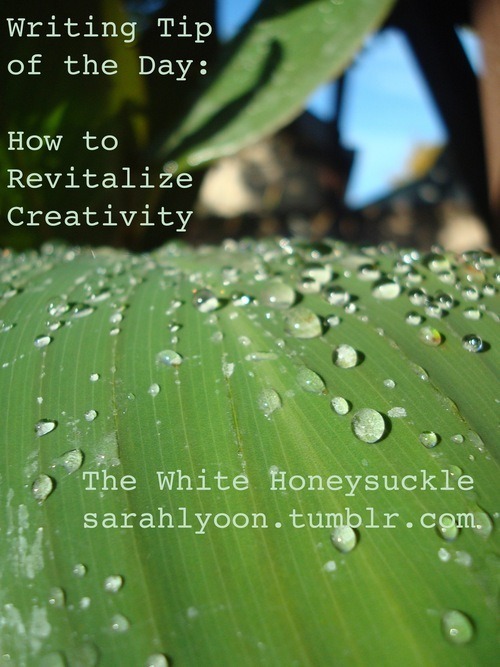 You’re stuck, feeling dull, and browsing endless Pintrest boards for something to revitalize your muse. You want to be productive, but the longer you scroll down that page, the more numb your mind becomes. It’s ironic how you scratch that psychological itch to be productive by filling your brain with a blur of busywork. LOOK AT THE SKY. It’s dark above, but soon you realize that a few pricks of light have found their way through the clouds. The moon is rising. The residue of a lunar rainbow rings about it. Was all this here before? You never noticed until you backed out of your virtual world and rediscovered the real one. But that isn’t enough. The voice prods you again. LOOK DOWN. You run to the edge of the building (because obviously you were browsing Pintrest on a skyscraper roof like any normal human being) and below, in the buzzing lights of neon signs and street lamps, hundreds of people mill about. They stop at shops, with small children tugging on their coats. They shove their hands into their pockets and trudge with determination. Where, you ask? And why? Now you’re getting somewhere. You’re expecting the next command, but it doesn’t come. As you turn back to the chopper, it rises, dips forward, and dives out of sight. You’re tempted to run after the mysterious apparition, but instead you notice that your computer is gone. A large yellow legal pad sits in its place. In all caps, italicized, two words read: BE CURIOUS. As you stare across the cityscape you wonder yet again, where did that helicopter come from? 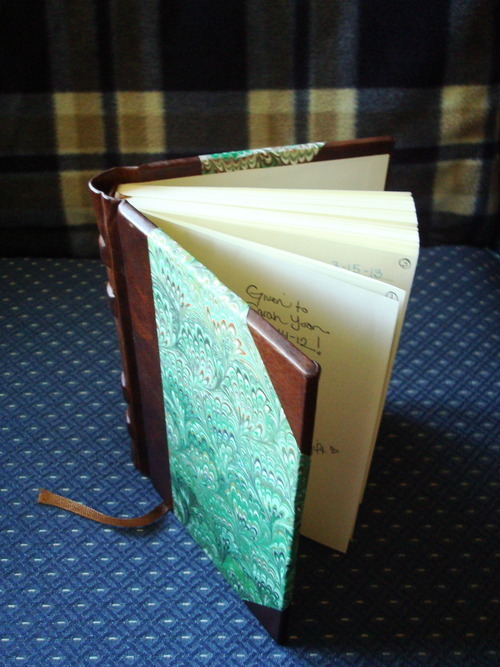 In December, my friend gave me a surprise Christmas present: a leather bound journal. I immediately adopted it into my writing schemes, and it became my inspiration journal. So what do I write in it? Sometimes I think of sentences that strike my fancy. Or I’ll see something that provokes a response—something that must have a story behind it somewhere. 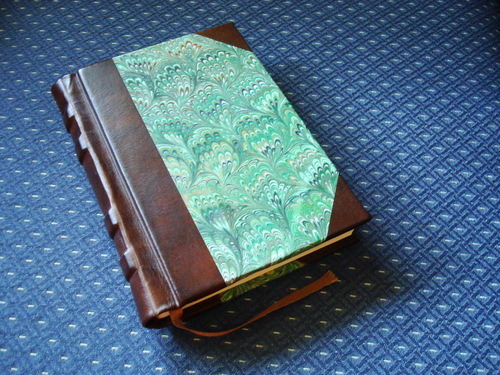 Anything with story potential, however small, gets tucked away into this journal. How do you organize your thoughts? What inspires you?